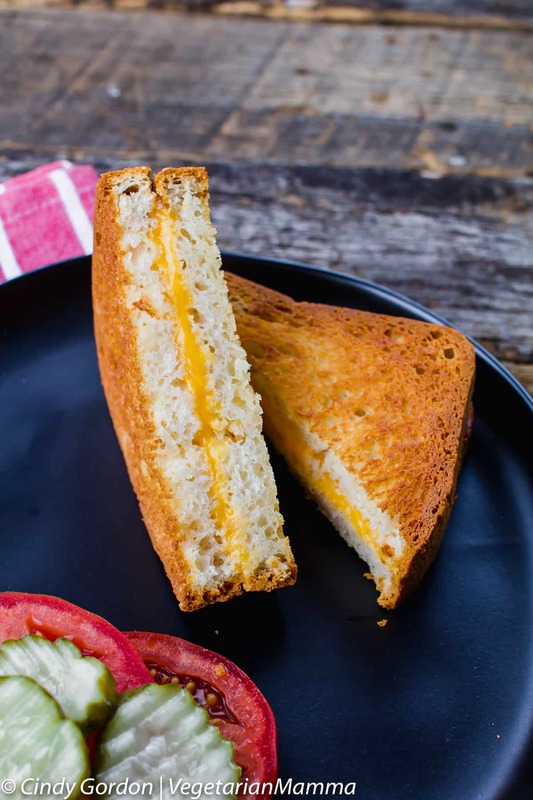 Air Fryer Grilled Cheese, gives you the perfect toasted cheese sandwich each and every time. You’ll be amazed at this delicious AirFryer recipe! 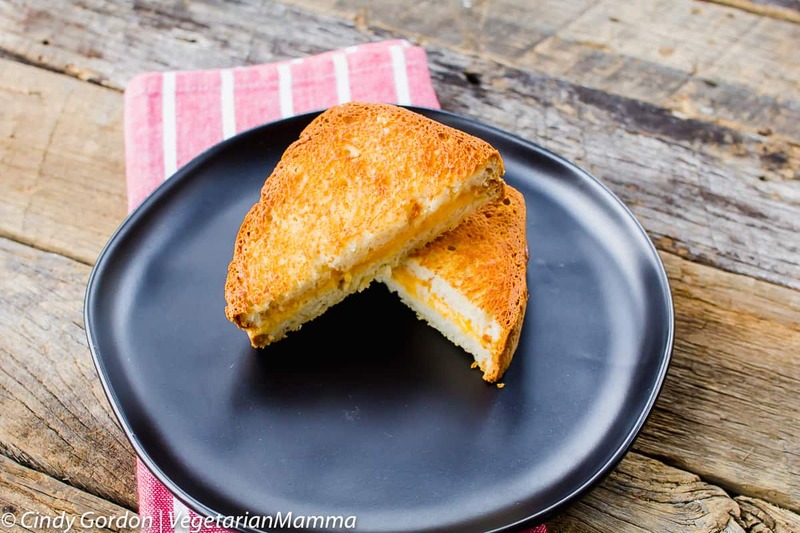 We love AirFryer Grilled Cheese – a delicious air fryer recipe! I’ve talked about my airfryer several times on my site. It was a Christmas gift from my mom back in 2016. I have had it a full year now and I am still finding new uses for it. Most recently, I discovered it makes a perfect grilled cheese. That’s right! 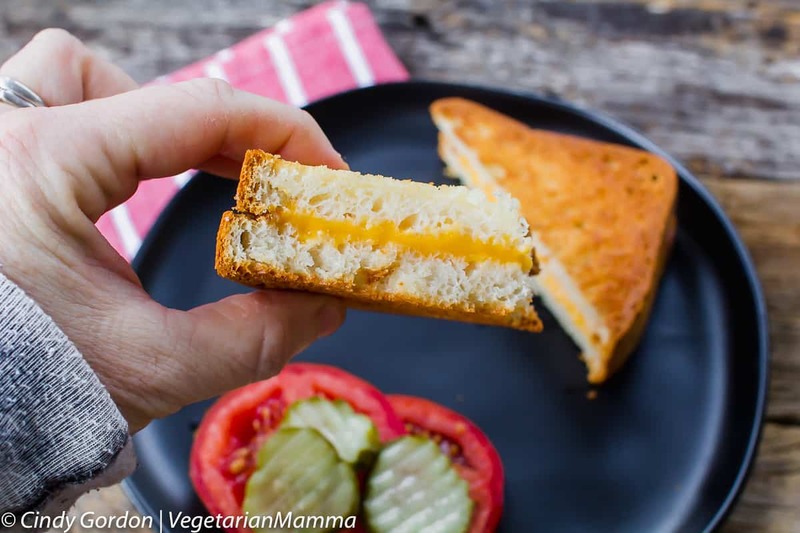 Air Fryer Grilled Cheese for the WIN! Yes, we made this sandwich in a greaseless fryer! So it is said that the grilled cheese was corn around the 1920s. It was an inexpensive meal that could be made with bread and American cheese. Those two ingredients were readily available and cheap! This type of sandwich is now popular among many cultures! I think for me, a grilled cheese is a comfort food. A toasted cheese sandwich with a big bowl of tomato soup and I will be fine and dandy! I bet you’ve had that combo before! 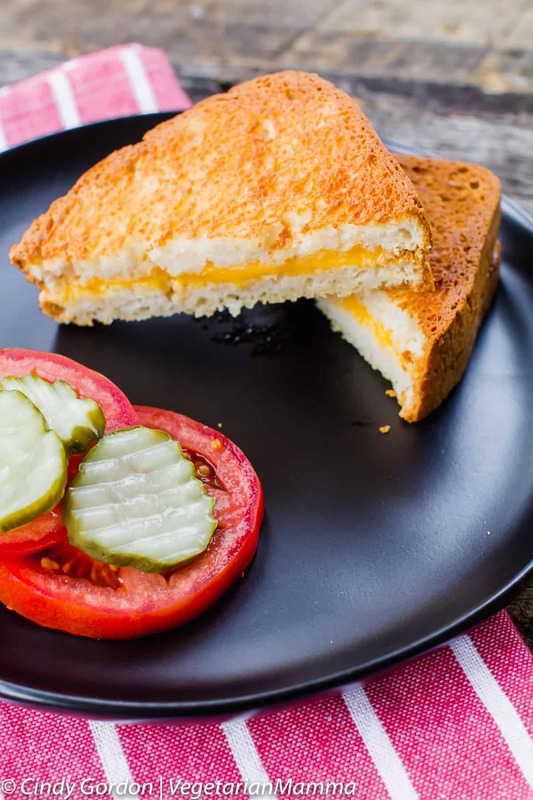 I like that this Air Fryer Grilled Cheese Sandwich is perfect each time. The fryer provides the same amount of heat and circulates it the SAME each time! 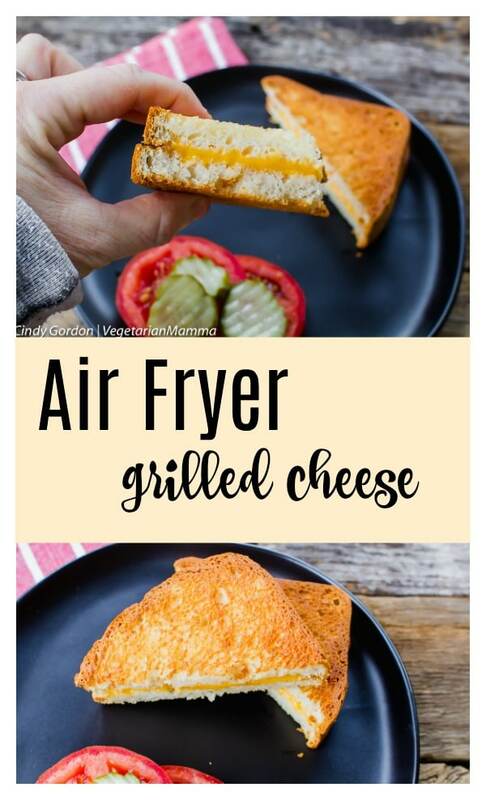 Still trying to wrap your head around making a grilled cheese in an air fryer? I know, I understand! That means your sandwich will be the same each time, unlike heating your sandwich in a skillet. The air fryer basket takes care of this cooking job, giving you a golden brown grilled cheese each time! How do you make a grilled cheese sandwich in an airfryer? 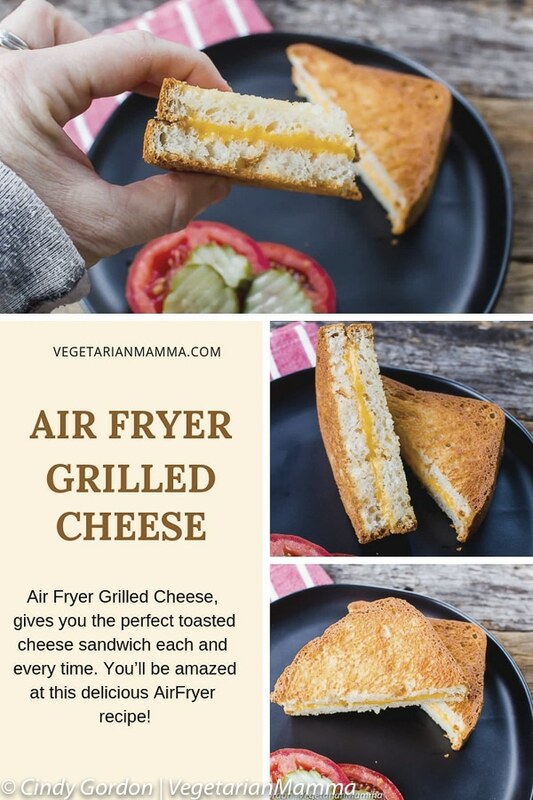 Grilled cheese in air fryer? Say what?? How do you deep fry a grilled cheese sandwich? We have got you covered! Check this out! My mom bought our air fryer from Kohls but you can find them on places like Amazon as well. They are honestly ALL over! My only advice would be to get one that has a LARGE basket! 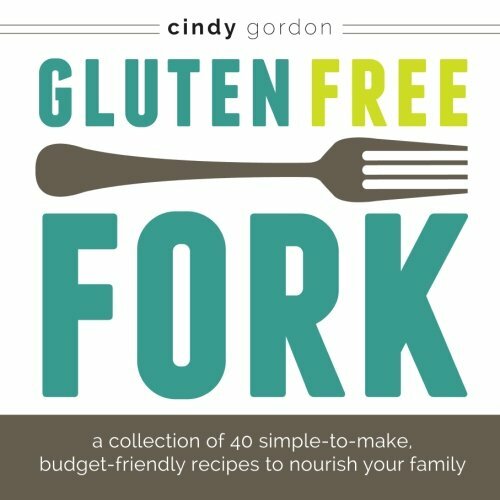 (affiliate) I Love the Power Airfryer XL! You might remember our other delicious air fryer recipes. 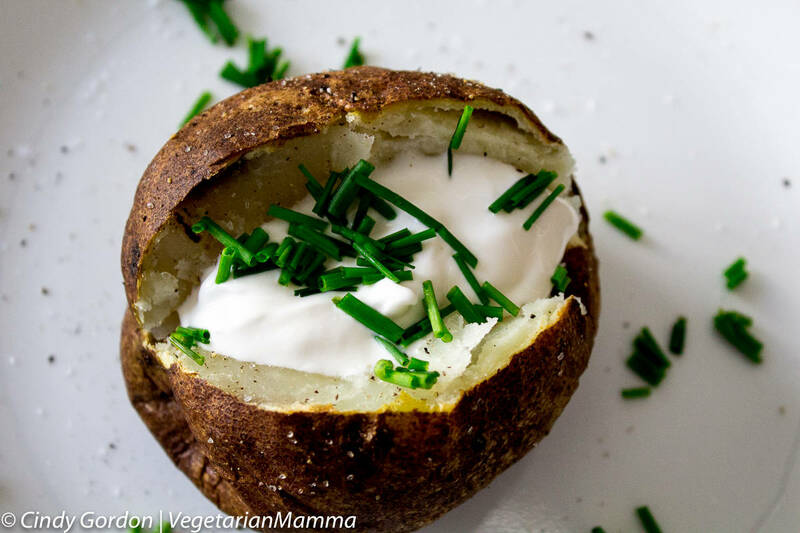 Our air fryer baked potato is actually the MOST popular recipe on our site. 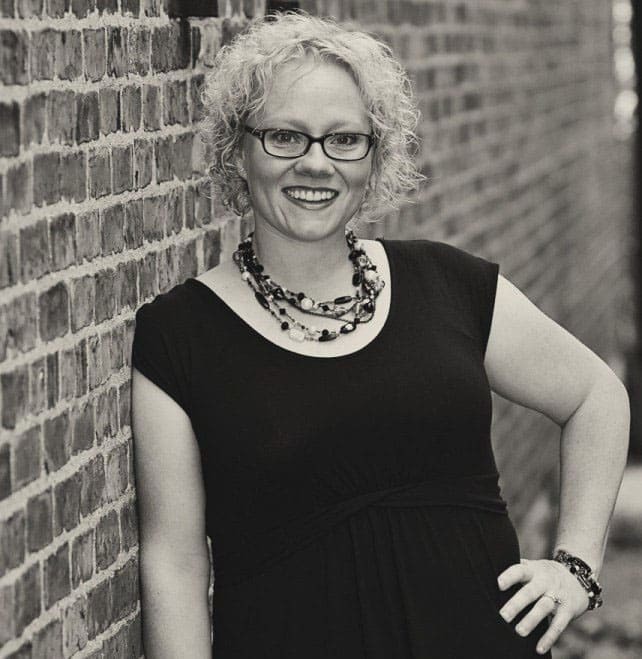 We get lots of people visiting from google and pinterest to that post! Our air fryer jalapeno poppers are becoming popular as well. 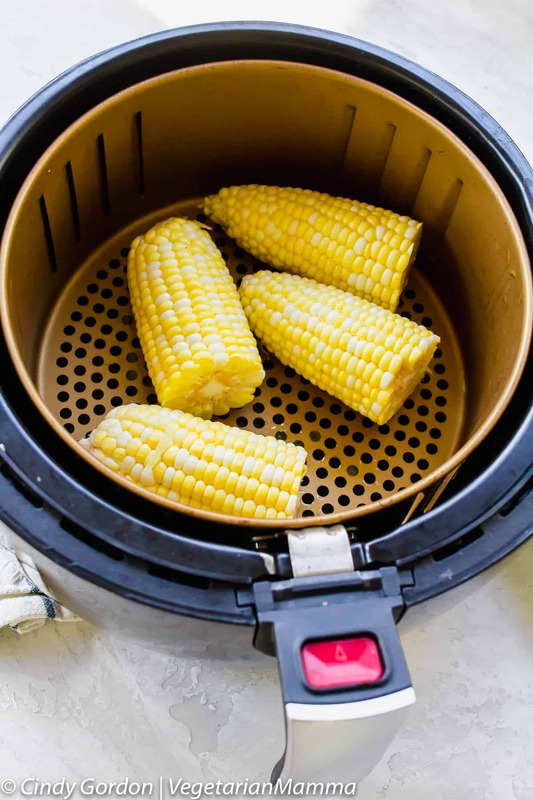 **They were just featured in a round up of THE BEST air fryer recipes on Delish and Better Homes and Gardens! 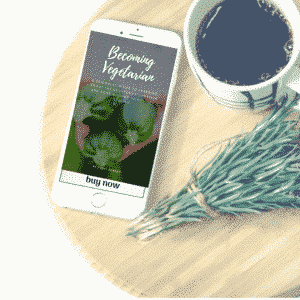 Love your veggies? 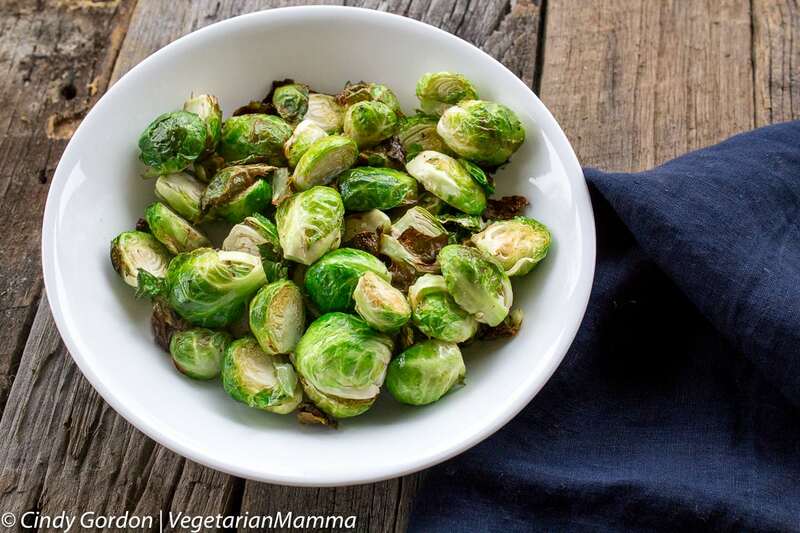 Be sure to check out our Air Fryer Brussel Sprouts! They are an easy and delicious side dish! For our tofu lovers, we also have Air Fryer Tofu! 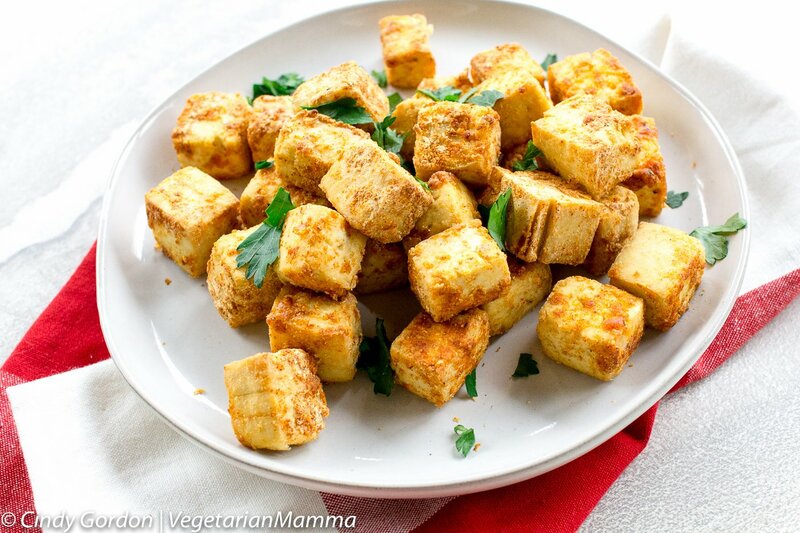 Delicious and crisp tofu each and every time! The options are endless in the Air Fryer! Honestly, the options to cook in your air fryer are almost endless. The most fun part, is experimenting! We have been working on some air fryer pickles and some air fryer mozzarella sticks. Those recipes will be coming to you soon! Do I need to toast the bread before putting into the air fryer? It is not necessary but if you want the bread extra crunchy, you are welcome to try! My power fryer XL does a great job of getting the bread nice and crunchy. But if your air fryer doesn’t seem to make the grade, you can try to toast the bread before hand! Is an air fryer like a convection oven? So technically the HOT air in an air fryer is moved and circulated much faster in the small air fryer space than in a convection oven. So while similar they do have differences. My bread flies around in the air fryer! Some air fryers have some pretty powerful air and make the bread fly. Do you remember back when you first got your air fryer? Inside the air fryer basket was a divider. That divider can be used to place on top of your air fried grilled cheese sandwich to keep it from flying away. 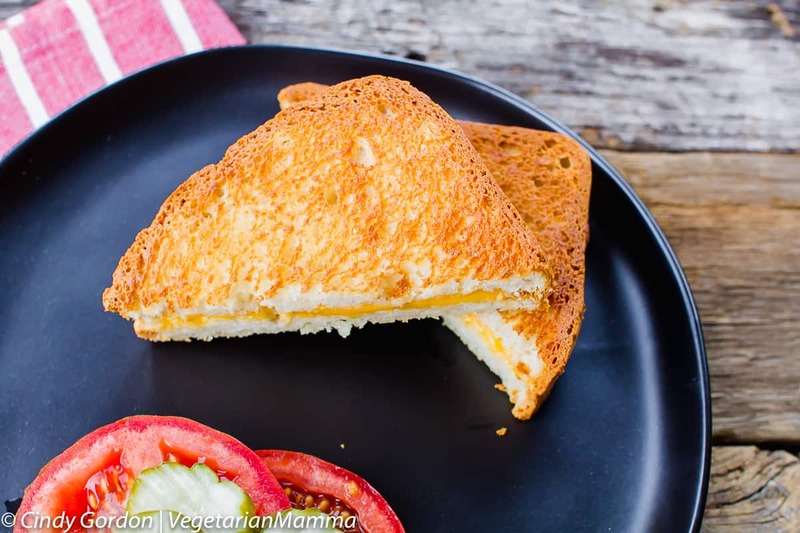 Let’s check out this easy recipe for Air Fryer Grilled Cheese! 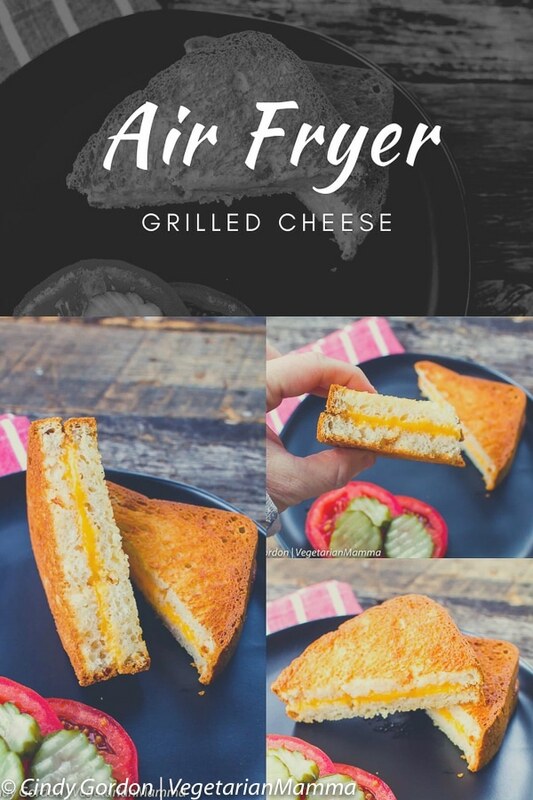 Air Fryer Grilled Cheese, gives you the perfect toasted cheese sandwich each and every time. You'll be amazed at this delicious AirFryer recipe! Butter one side of each slice of bread. Use enough butter to cover the bread, but do not over butter. For grilled cheese at 360 degrees F for 8 minutes. Gently flip at 5 minutes. Pretty easy and pretty delicious! 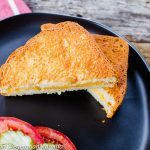 I think you will love this Air Fryer Grilled Cheese too! Google time! You may have been searching on the web and that landed you here! 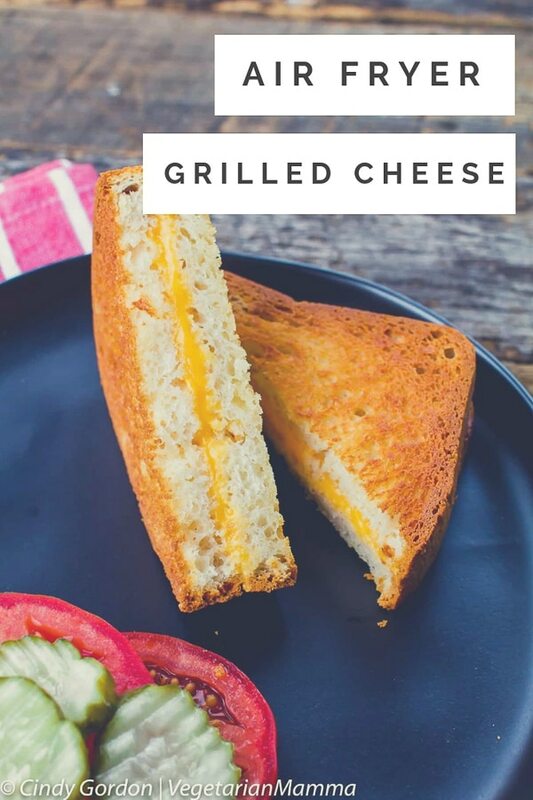 Whether you were searching for air fryer grilled cheese temperature, power air fryer grilled cheese or how do I make a grilled cheese sandwich in the phillips air fryer, we are glad you are here! No matter what you searched for, we are glad we were your end game today! 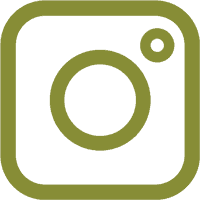 This post does contain an amazon affiliate link to an air fryer. 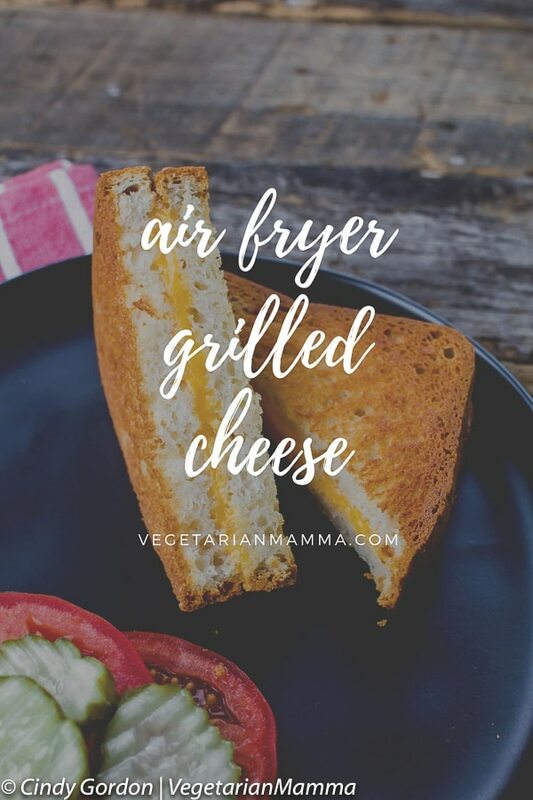 Leave me a comment below telling me if you have an air fryer! This recipe looks amazing! 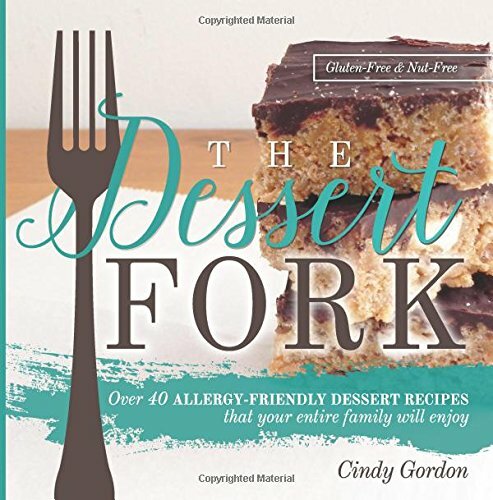 I can’t wait to give it a try in my air fryer!